Selling extracted cannabis tinctures? Make sure your packaging is as good as your product; otherwise it won’t sell at all! 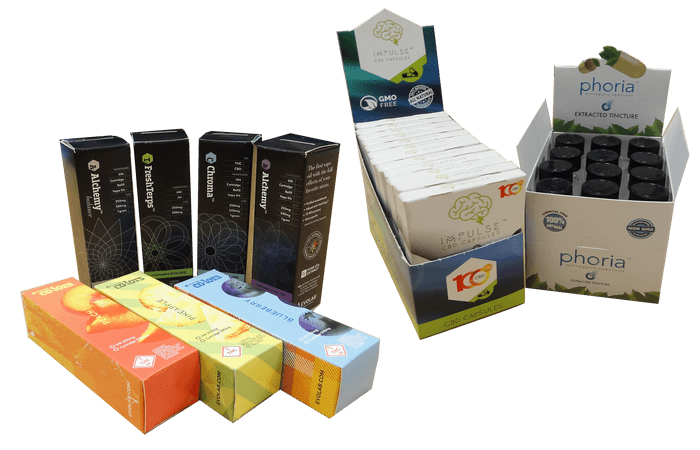 With our years of experience in the cannabis industry, we at Business Image Printing have a keen knowledge of what cannabis vendors require in their packaging, and our wide range of custom packaging solutions will protect your precious tinctures from damage and create serious intrigue for your product. If that sounds good to you, give us a call today!